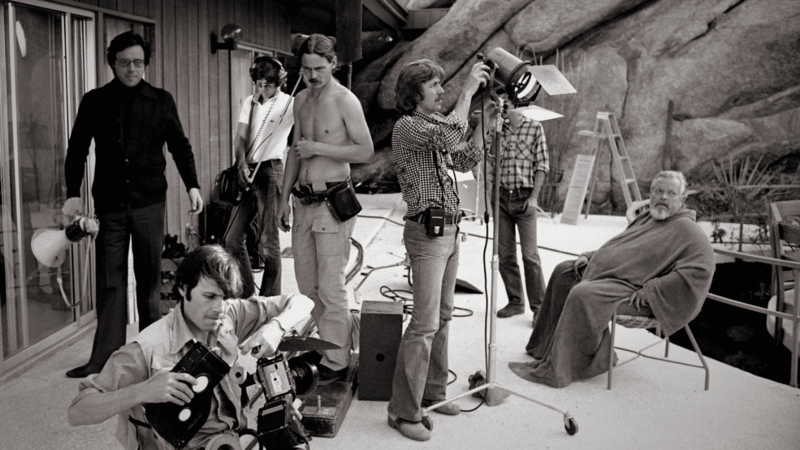 Oscar-winning documentarian Morgan Neville (20 Feet from Stardom) tells the provocative story of Orson Welles's last years and his obsession with making THE OTHER SIDE OF THE WIND, the final project he never saw completed after years of production work. Comprised of never-before-seen footage of Welles on set and original interviews with cast and crew, THEY'LL LOVE ME WHEN I'M DEAD is the untold final chapter of one of cinema's great, cursed careers. THEY'LL LOVE ME WHEN I'M DEAD opens after our week-long retrospective, "Directed by Orson Welles," featuring 10 films from Fri Oct 26 - Thu Nov 1! Also opening on Fri Nov 2 is THE OTHER SIDE OF THE WIND, the notorious final film by Orson Welles featured in THEY'LL LOVE ME WHEN I'M DEAD!